Shield your washing machine from limescale with Ecozone’s Water Softener tablets. Consistent usage of these tablets can save energy by preventing limescale encrustation of the heating element maintaining an energy efficient appliance and prolong the lifetime of the heating element, can reduce the detergent usage and therefore save money, prevent the drum and workings from becoming incrusted with scale, and help keep a washing machine in a perfect, clean condition. They are free from toxic ingredients and are vegan and cruelty free. Washing machine manufacturers recommend regular use of anti limescale tablets. Just add one tablet to your laundry with every wash at any temperature with your regular detergent. 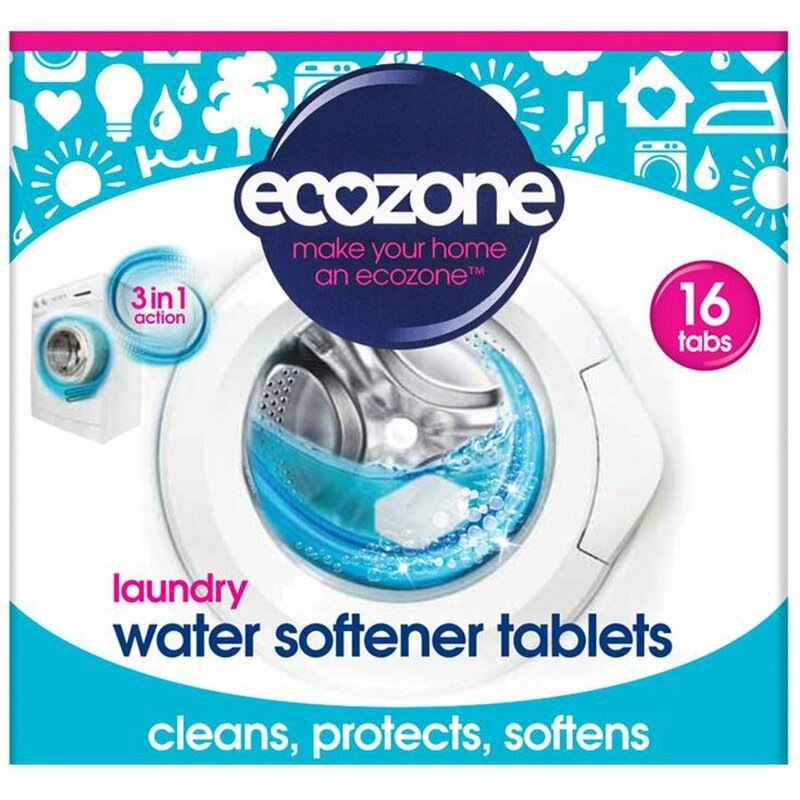 There are currently no questions to display about Ecozone Laundry Water Softener Tablets - 16 Tablets.